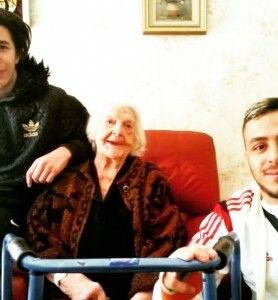 Soldier Dimitri Higelin and two youngsters from his Colmar housing project, Abdelwahad and Hassan, saved an old lady from a fire as she was stuck on her balcony and ready to jump. The soldier climbed on the building wall to reach the 90 year-old woman and rescued her. He was assisted by Abdelwahad and Hassan on his way down. The three of them comforted the woman before the police and the Fire Department arrived.